Don’t panic: Belgian philosopher Paul Emile de Puydt proposes nothing scary, however radical the thesis of “Panarchy” may seem at first. Just as today (and in 1860, when he wrote this book), adherents of very different religions can live peacefully side by side, so we should all be free to choose our own systems of governance, regardless of where we live. Down with territorial monopolies of force! Up with freedom! This new edition from Liberty.me features a foreword by Freeman editor Max Borders. 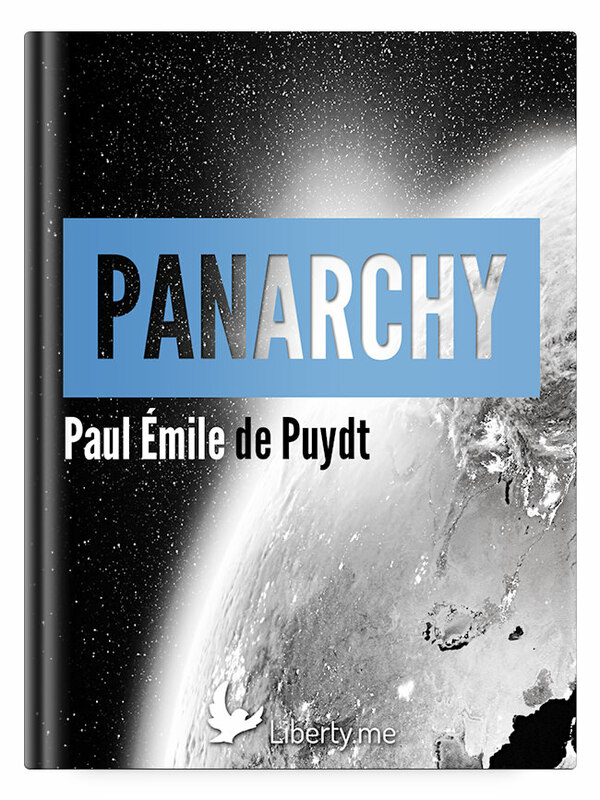 Don’t panic: Belgian philosopher Paul Emile de Puydt proposes nothing scary, however radical the thesis of “Panarchy” may seem at first. Just as today (and in 1860, when he wrote this book), adherents of very different religions can live peacefully side by side, so we should all be free to choose our own systems of governance, regardless of where we live. Down with territorial monopolies of force! Up with freedom! Join Freeman editor Max Borders (author of the foreward to the new Liberty.me edition) to discuss this book Wednesday, August 27th, at 9pm EDT! Michael Strong, CEO of Radical Social Entrepreneurs, will discuss practical ways to promote competitive governance, including startup cities, seasteading, virtual governance, peaceful secession, and increased sovereignty for indigenous peoples. Michael has been directly involved with several of these initiatives as a strategy for increasing opportunity for people around the world. For background, see his posts at Let a Thousand Nations Bloom.